The unique energy scale-up programme designed to aid business growth with industry recognised approval for your organisation. The programme is energy-focused and delivered in partnership with sector relevant organisations. 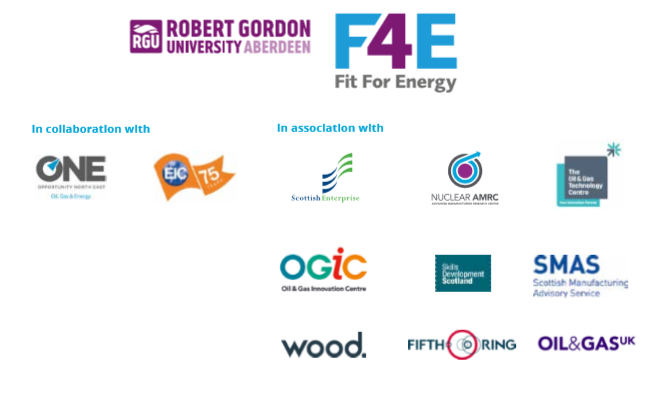 Drawing on RGU’s long-standing relationship and track record in energy, F4E equips participants with energy sector-specific skills and knowledge developed in conjunction with a network of public sector and energy organisations who endorse F4E and contribute relevant energy-sector insights, case studies and global best practice. Is F4E right for your organisation? F4E is aimed at any business with a growth ambition. It is most appropriate for aspirational Small and Medium Sized Enterprises (SMEs) wishing to scale-up. However, larger businesses seeking evidence and recognition for their contribution to the supply chain will also benefit from gaining F4E approval. To find out more about the programme, click here. Join the free webinar to clarify your company's eligibility, benefits of programme participation and next steps to accessing the course. Stuart Broadley, CEO at the EIC will provide an introduction to the Fit4Energy programme, the background and the inspiration behind it. Professor David Gibbons-Wood, Programme Lead from Aberdeen Business School RGU will present on the programme content, format and the industry approval that Fit4Energy will provide. Spaces on the webinar are limited so book now to avoid disappointment. A confirmation email with instructions on how to join the webinar will be issued after you have registered to attend via the 'book online' button below.